The Ottoman from the 024 Series is a traditionally framed piece of furniture that you can customize to fit your needs and styles. 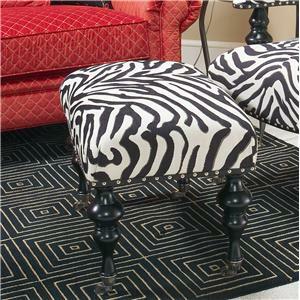 With over 800 fabrics to choose from, this ottoman will be sure to fit into any home. 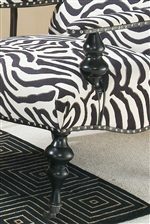 The 024 Ottoman by Michael Thomas is available in the area from BigFurnitureWebsite. The 024 Chair and Ottoman are elegant and traditional pieces that have unique characteristics and the ability to choose your own fabric from over 800 options. 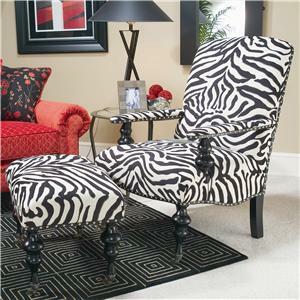 You can truly customize these pieces with just the right amount of pizazz you desire. The 024 Chair & Ottoman will accent your living room furniture perfectly and would even look great in many other rooms in your home. The 024 collection is a great option if you are looking for Traditional furniture in the area. Fabric Content Many of our craftsmen learned their trade from their parents. 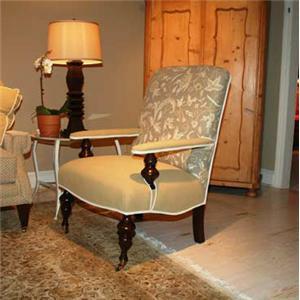 Furniture will be hand crafted by an experienced upholsterer. Fully lined skirts, crisp welts, detailed throw pillows and matched patterns are accomplished only by caring hands, one at a time. Seat Support 8 way hand-tied springs because it is, quite simply, the best. Browse other items in the 024 collection from BigFurnitureWebsite in the area. Turned pillaster legs on casters and turned pillaster arm connections.